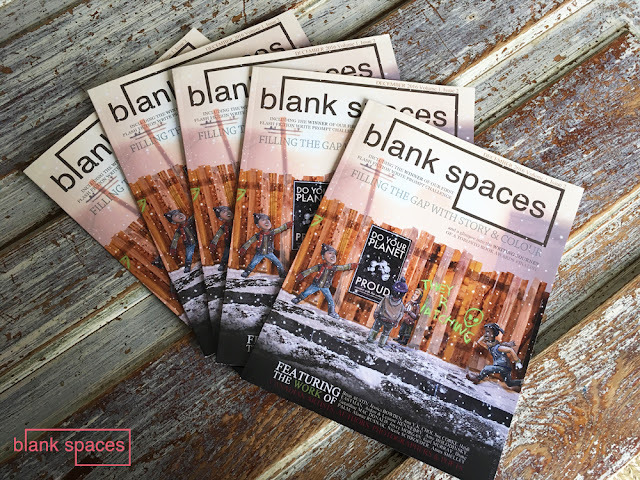 One of our goals is to make Blank Spaces fully Canadian—meaning that not only is our print content submitted by Canadians, but that our printing company is also located in Canada. Unfortunately, we have been unable to find a Canadian company that can come close to the rate we're getting with our current printer. And, because we're not made of money, we have to go with the best rate—even though it hurts our red and white Canadian feelings. We recently thought we'd had a breakthrough. A Canadian company! Prices actually lower than our current printer! Well friends, we learned the hard way that .ca does not necessarily mean Canadian. After paying shipping and duty fees, we saved $0 and received a product that was not quite what we've come to identify as our brand. Sure, it looks nearly identical—the only real difference is a slight increase in trim size and a slight grainy quality to any black and white photographs that were included—but honestly, we're just annoyed that this company slapped a Canadian flag on their website and tricked us into trusting them. Thankfully we only ordered five copies in our test-print run and now we're looking to unload them to anyone who hasn't yet received our December issue and who doesn't mind a slightly larger size. All the content is identical and we still stand by it as a great representation of Canadian talent; but, because it's not quite perfect, we're accepting a loss and letting them go for $13 (shipping included). Purchase through the button below - you can even add the upcoming March issue to the same order if you like. Sale will run as long as we still have copies.